Even though some of them are eusocial, most wasps are solitary. Thus, the adult females conduct independent breeding and living alone. The parasitoidal wasps can be found on most solitary wasps. The eggs will be laid on other insects. The hosts then will be killed by the wasp larvae at the end. Wasp is a valuable animal in horticulture for it becomes a parasite of many pest insects. It has been used to control the population of whitefly in crops and tomatoes. Look at facts about Kakapo here. Wasp can be found in many parts of the world. However, you will never find them in Polar Regions. The length of Asian giant hornet is measured at 2 inches or 5 cm. 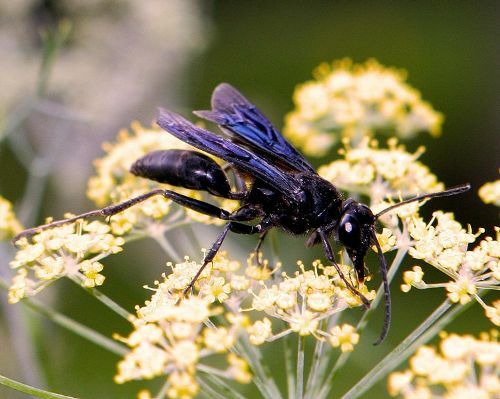 It earns the title as the largest social wasp. 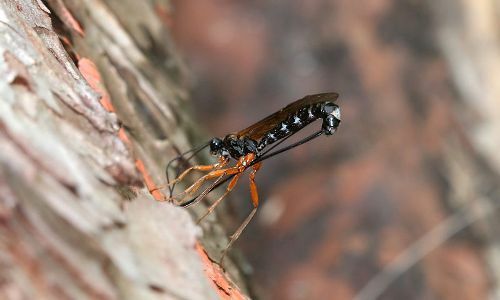 Megascolia procer is one of the largest solitary wasps. It can be found in Indonesia. 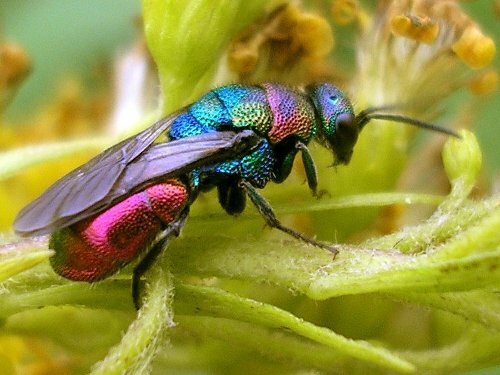 The solitary chalcid wasps are considered as the smallest wasps. The length is measured at 0.0055 inch or 0.139 mm. Wasp is an interesting subject in many types of popular culture. The Food of the Gods and How It Came to Earth is the novel of H.G. Wells published in 1904. The novel depicted giants wasps whose stings were 3 inches. Many types of military equipment and warships are named after wasps. Get facts about warthog here. Nectar is considered as the primary diet of most adult solitary wasps. They also forage for food left by spiders and insects. 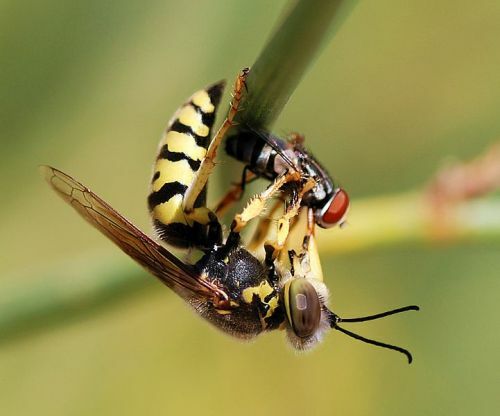 The sting is very important for the parasitoidal and predatory wasps. They will sting the prey to get food. The social wasps eat different kinds of foods such as dead insects, nectar, fallen fruit, and others. Thus, they are included as omnivorous animals. 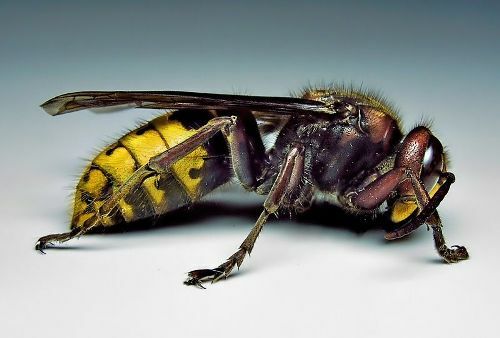 Are you impressed after reading facts about wasps?